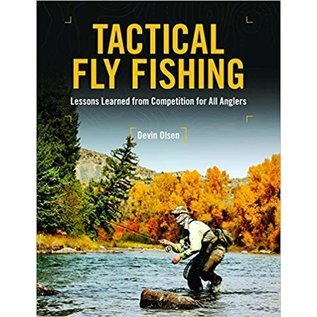 This book describes the tactics and techniques which I have learned since I started competing for Fly Fishing Team USA in 2006. Making and Adjusting a Plan Based on Observation. In this chapter I explain the variables that I observe when I arrive at the river which help me decide where and how to fish. Gear and Rigging. What you read is what you get in this chapter where I detail the rigs which I use in and out of competition. Euro-Nymphing: A Competitive Break Through. In this chapter I write about my history learning and using European-nymphing techniques and what makes these techniques so effective in so many circumstances. Entergy and Currents: Where and Why Trout Hold. In this chapter I take a slight detour into the world of my former profession as a fisheries biologist. Simply put, there are reasons why fish occupy certain water types throughout the year. This chapter is meant to help you pinpoint locations where to fish more quickly and confidently. 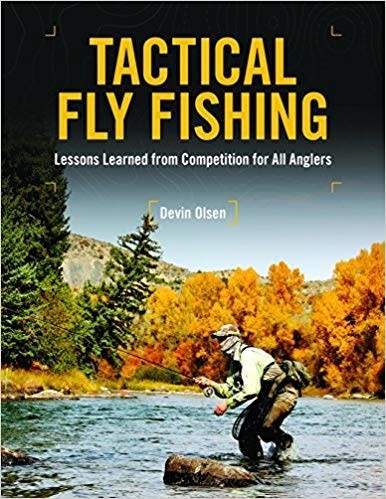 The last chapter provides photos and recipes for some of my favorite fly patterns. Copyright 2019 by Devin Olsen. Total length is 212 pages.